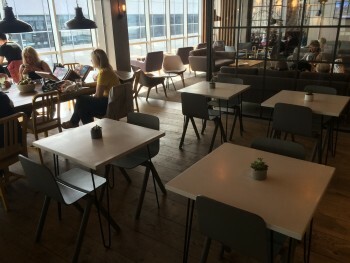 This is my review of the new My Lounge in the North Terminal at Gatwick Airport. 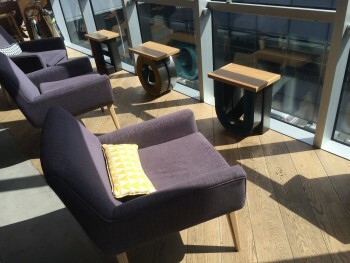 My Lounge opened in July 2014, but as I hadn’t been through Gatwick since last Spring I hadn’t seen it before. It is situated immediately to your left as you turn into the corridor which ends in the No 1 Traveller lounge and which also contains the lift to the British Airways lounge. The lounge is owned by No 1 Traveller. Whilst promoted as a new style of informal airport lounge, I have a feeling that the main reason it exists is to sweep up some of the overflow from the main No 1 lounge. This often runs to capacity and people with Priority Pass or Lounge Club passes are turned away. My Lounge gives them an alternative place to go. The My Lounge look is best described as ‘industrial shabby chic’. The entire lounge is glass fronted so anyone passing can see the whole space – although you would only pass the lounge if you were on the way to one of the other lounges! The ‘shabby chic’ ethos includes serving food and drink in cardboard bowls and cups and providing only wooden cutlery, which may be pushing it a bit too far for some! In terms of price, it costs £16 for an adult and £10 for a child over two. 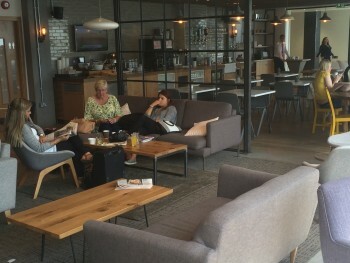 This includes access to the premium security channel at Gatwick for advance bookers, which is now totally separated from the main departure area and genuinely feels private and secluded. Priority Pass, Lounge Club and Airport Angel are also accepted. If all you want is somewhere to relax for an hour, the cost saving over No 1 Traveller (RRP £25 although available for £20 via the current Avios offer) is probably fair. My Lounge was certainly calmer than No 1 Traveller last Monday morning. If you plan to eat, however, you would be better off in No 1 which has a far better food selection and a proper bar. For clarity, if I wasn’t bothered about eating, I would prefer to spend an hour in My Lounge than in the desperately tired British Airways lounge upstairs. 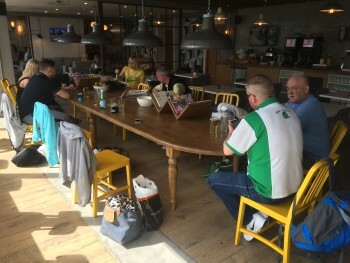 Overall, I was impressed by My Lounge – it does the job it sets out to do and they have done well to differentiate it from the main No 1 Traveller lounge just a few metres away. You can book via the main No 1 Traveller website or via the My Lounge site. REMINDER: Exclusive £30 Head for Points sign-up code for HotelTonight! Not sure I would give their designer a commission, looks a bit like something the local council might pay for. I think regular members of the public can see into the my lounge as well. Isn’t it the lounge you can see right into as you had down to the 45-55 and 100 gates on the right hand side? I found the staff in my lounge were helpful and polite while making an effort to keep tables clear. I thought the white wine was dreadful. Only one option. Just busy, or full of rowdy souls too? BA is set to move to the South Terminal to allow easyJet to accommodate their whole operation in the North Terminal – apart from the closure of the BA lounge and presumably the opening of a new one in the South terminal, I wonder what other changes this shift may bring to Gatwick in terms of lounges and other aspects. It would be interesting to know if BA passengers are proportionately more likely to visit No 1 than easyJet passengers – if so, No 1 is likely to be quieter once easyJet takes over the BA gates. No 1 is also used by various airlines as their ‘proper’ lounge, eg Garuda. 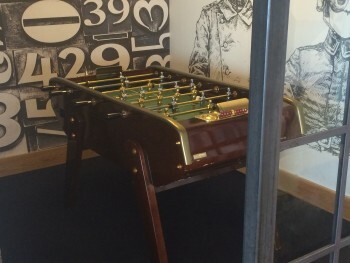 I am hoping that the new BA lounge at Gatwick will be good enough to save me having to use No 1 – I have never seen the Gatwick South No 1 so I don’t know what BA has to beat. I was at the new lounge last Monday (for the 1st time). I like it. It was very early (7am) and so was fairly empty. Strangely, toilets were still closed and there didn’t appear to be a sink (so I couldn’t empty my paper cup of coffee). Still – small issues. 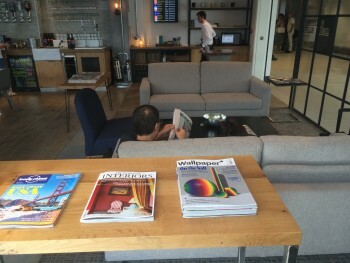 I really like No1 lounge in both N and S terminals – N being my favourite I think. The Aspire lounge downstairs in N terminal is also quite nice but again, I seem to get there at quiet times. I use my Priority Pass in all these lounges so have experienced first hand being turned away. If I’m travelling alone, it’s not such an issue – but with a family – it can be (both my wife and I have a Priority Pass so we have to pay for the kids). For comparison – we were turned away from No1 North – so sat in Frankie and Benny next door. We paid £48 there for breakfast for four. In the lounge, we would have been changed 2 x £15 so lounge would still have been cheaper! we use the No1 lounge as it is very good, and the Caxton fx card gives two for one on full price admission (£25 for two last time) (subject to space) ….